Renfrew Real Estate offers investing opportunities for Accredited Investors, Angel Investors, and some other opportunities for every day people...with above market interest rates and extremely well secured. 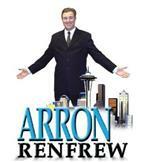 Arron Renfrew also participates in Joint Ventures and Partnerships too. If everyone is set to experience a win/win count him in! Contact Arron for a private discussion today!